I saw Clerodendrum bungei in bloom and had to have this plant in my garden. I had already grown a couple of Clerodendrums and liked them. Much to my dismay this one turned out to be a wild and invasive plant. It sends its runners by gargantuan leaps and bounds. 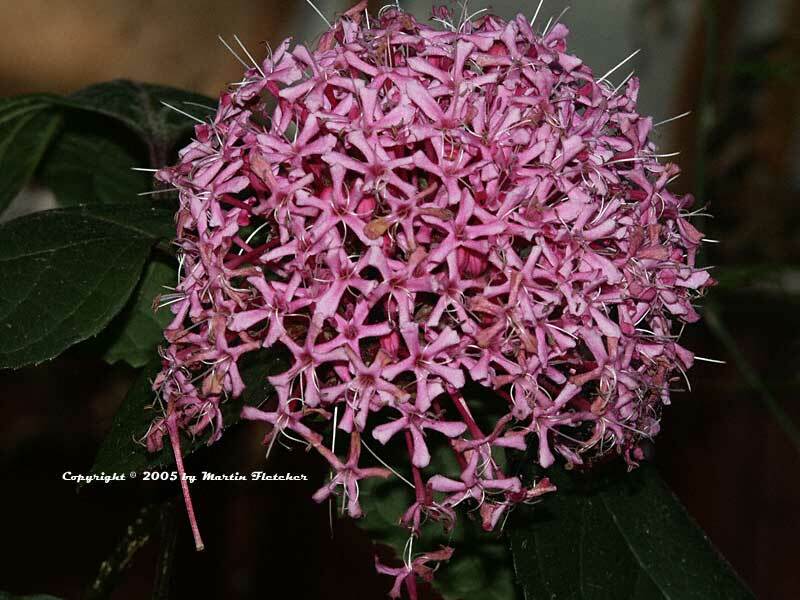 Clerodendrum bungei is not a plant for the timid or the controlled setting. I am not sure that it is a good choice for any setting. It is just too aggressive to be planted in the ground even if it is a beauty. Now knowing its character I tried Clerodendrum bungei in a container. It grew out the drainage holes and again it was off. It seems to prefer a cool semi-shaded setting, and has kept to that zone in my garden. I cut Clerodendrum bungei to the ground every winter because the tops die back due to our cold nights. If you wish to grow Clerodendrum bungei I recommend keeping it in a container in with a drip tray or keeping the container on a paved surface. I have not had problems with Clerodendrum bungei going to seed. While that is a relief the Rose Glorybower is still a handfull. Flowers and foliage of Clerodendrum bungei - Rose Glorybower. High resolution photos are part of our garden image collection.